NYFC offers in-person workshops across the country to help young and beginning farmers navigate business challenges and opportunities. NYFC, in partnership with the National Farmers Union, offers trainings across the country to help familiarize young and beginning farmers with the Food Safety Modernization Act (FSMA). As of 2018, all fruit and vegetable producers are subject to Produce Safety Rule (PSR) regulations. All non-exempt farms are required to have at least one owner or managerial staff member on site who has attended an approved FSMA PSR training such as these ones. Even exempt farms are required to keep certain records related to their exemption, which are covered as part of our trainings. And, regardless of your scale, everyone can benefit from learning about food safety practices on the farm! 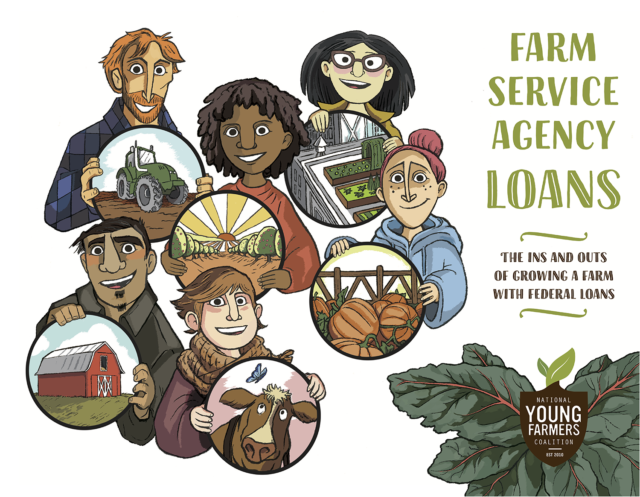 NYFC is happy to be able to subsidize these workshops for young and beginning farmers. Snacks, lunch, and beverages are provided at all trainings. There are no upcoming produce safety trainings. Please visit our events page, sign up for our email list, or follow us on Facebook to stay up to date. If your chapter is interested in hosting a produce safety training, please email cara@youngfarmers.org.